Every year in spring, assist at the Aubrac plateau.. 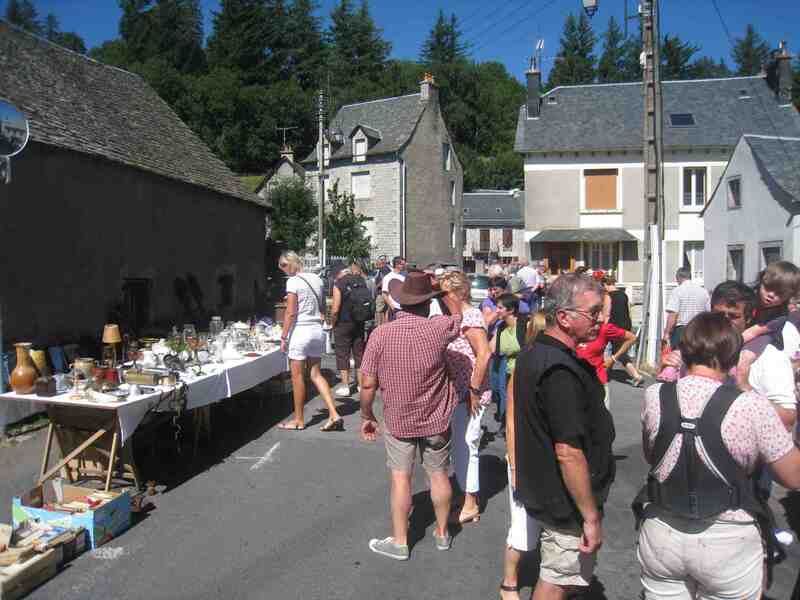 This event, started in 1993 in the village, is a big communal fest that takes place the Sunday closest to the 25th May at Bonnecombe in Lozère, 20km from the camping. 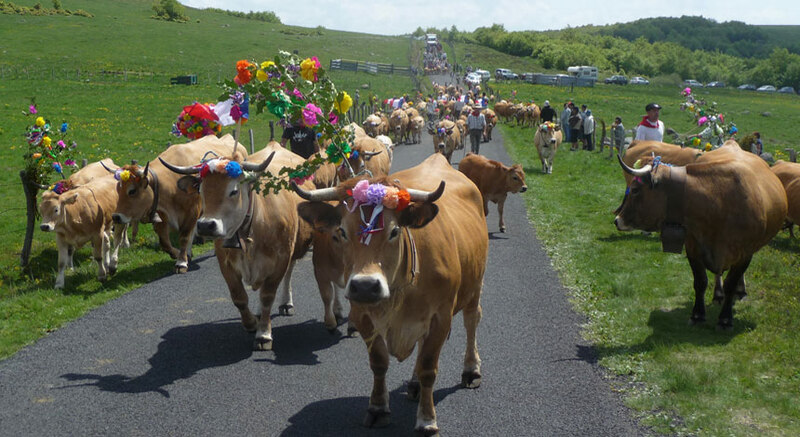 “Aubrac” cows will be decorated with flowers for the occasion and numerous activities will be organised during the week-end: tombolas, folkloric dances or Aligot tasting. Every year on the 1st weekend of June we have the Rand’Aubrac ; a hike of varied distance between Chaudes-Aigues and Nasbinals. There are 3 distances to choose from: 12, 22 and 35 km in order to discover the incredulous landscapes of the Aubrac plateau. 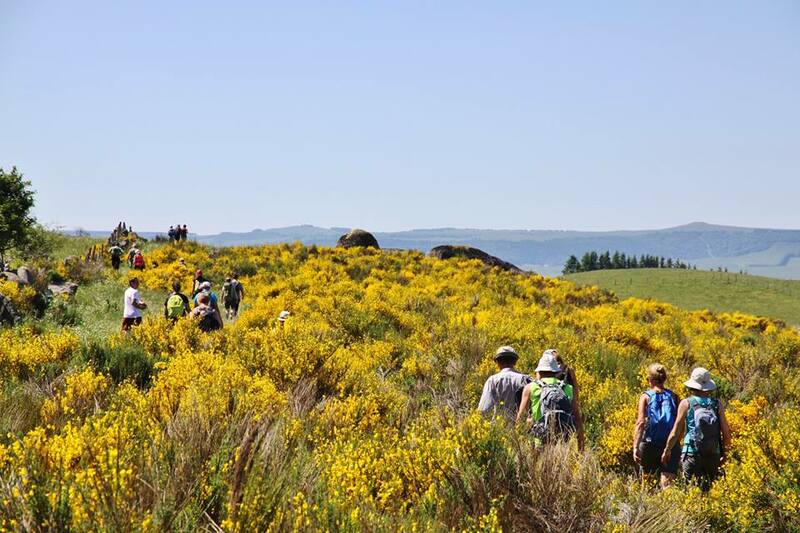 This hike is normally accompanied by different activities : fanfare, orchestra, tasting of local products… Shuttles are prepared to facilitate access to the event. Part of the events gains are given to an association that fights cystic fibrosis. 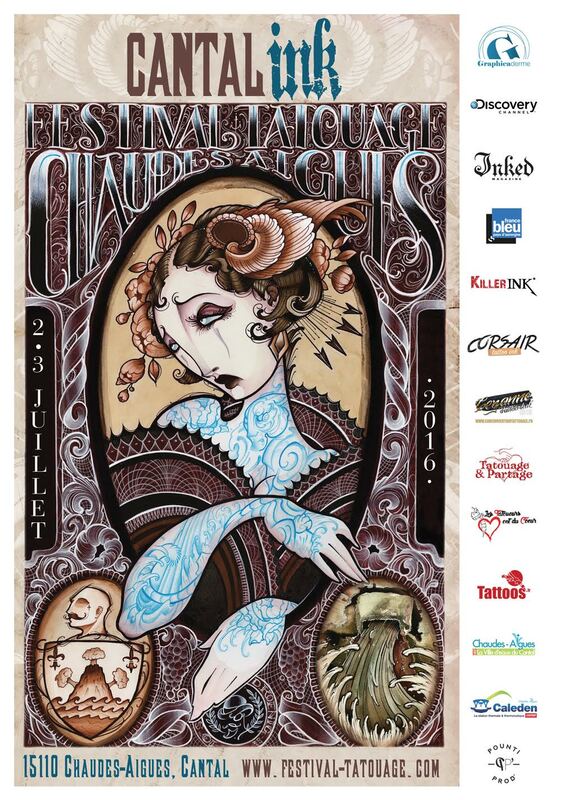 Every year throughout the first weekend of July come to the Cantal’Ink: the tattoo festival of Chaudes-Aigues at 15km from the camping. For this renowned festival, Chaudes-Aigues will welcome some of France’s best tattooists. Other activities will be organised apart from the festival : spectacles, concerts, expositions and a space for the exclusive use of children to play. Professionals or simply curious, alone or in family, the festival is for everybody. Halfway through August St-Urcize organises a rural festival as well as a celtic night. 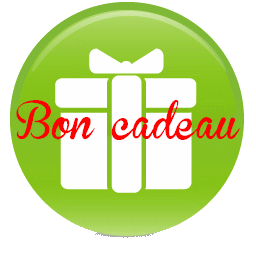 Expositions, art, hikes, orientation courses, music and Aligot tasting will be on the programme!